Adams moves to Detroit after 10 years at GM Europe. General Motors is transferring Opel's design chief to the United States to lead Cadillac and Buick styling and is moving the head of Buick and GMC styling to the top design post in Europe. 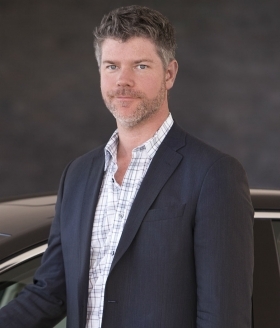 Mark Adams is the new global design director for Cadillac and Buick. He will be based at GM's design operations in suburban Detroit. GM has relied heavily on groundwork laid by its Opel/Vauxhall unit in Europe as it makes over its Cadillac, Buick and Chevrolet vehicles. 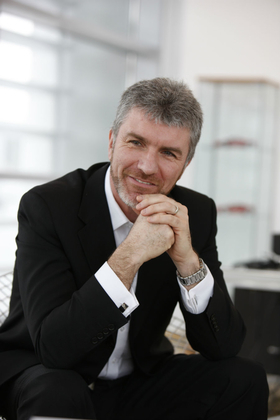 London-born Adams, 50, joined Opel from Ford of Europe in 2002 as exterior design director. He was promoted to design chief in 2007 and led the development of a new styling direction for the brand, which began with the Insignia midsized car. Adams will be replaced as Opel's design chief by David Lyon, who has been overseeing designs for Buick and GMC and GM's North American interiors. Lyon, 43, designed models such as the Buick Enclave, LaCrosse, Verano and Riviera concepts, as well as the Chevrolet Volt, Corvette, Cadillac CTS, Escalade and Silverado. Lyon will relocate to Opel's headquarters in Russelsheim, Germany. Opel CEO Karl-Friedrich Stracke said in a statement: "David Lyon is a proven and inspired design leader. I am excited that he will join the Opel/Vauxhall leadership team." Stracke added: "At the same time, I am grateful for the tremendous work that Mark Adams has done in transforming our Opel/Vauxhall language into the highly-successful and much-acclaimed theme of 'Sculptural artistry meets German precision.'" GM is also shuffling duties for two other top design executives. The changes were announced Monday. Ken Parkinson becomes executive director for global Chevrolet and GMC designs. He had been in charge of exteriors for North America. Clay Dean becomes director of global advanced design. He had been in charge of Cadillac and advanced designs for North America. Bryan Nesbitt, credited with designing the Chrysler PT Cruiser and Chevrolet HHR, remains vice president of General Motors International Operations design. Mike Simcoe is executive director GM International Operations Design. Carlos Barba is executive director GM South America design. Teckla Rhoads is director Global Design Operations. Mark Leavy is executive director of Global Design Operations. All nine executives report to GM design chief Ed Welburn. In a statement, Welburn said, "This new structure provides a foundation to build and grow the design language for each of our brands moving forward." The changes take effect August 1.